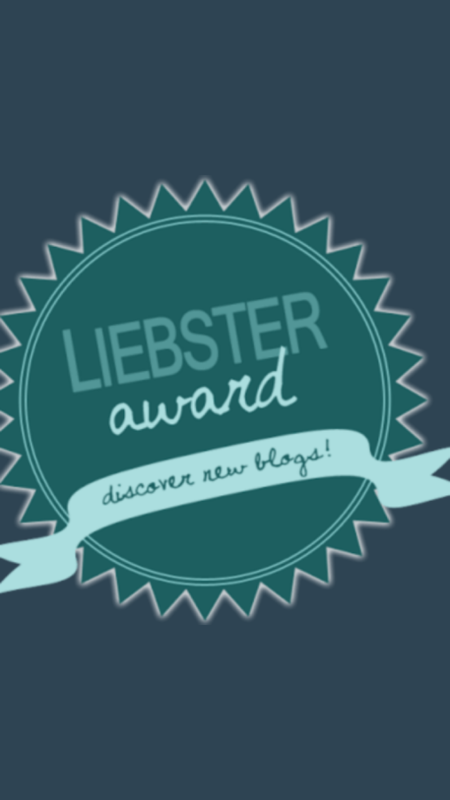 About the Liebster Award: It is given to up and coming bloggers who have less than 200 followers. The meaning Liebster is German and means sweetest, kindest, nicest, dearest, beloved, lovely, kind, pleasant, valued, cute, endearing, and welcome. Liebster was created to discover new bloggers and welcome them to the blogosphere. Answer the eleven questions asked to you by the person who nominated you, and make eleven questions of your own or your nominees or you may use the same questions. Lastly, COPY these rules in the post. I love Emily’s blog because she tells it like it is. Emily has been having a tough time of it recently, and yet she is still able to inspire me with how she deal’s with some of the crap that has been thrown her way. I imagine Emily probably has over 200 hundred followers anyway, but what the hell! Heather and Chris BOTH write blog posts…I love that about this blog, infertility is not always just about one person. I am so hopeful for them that this cycle & soon to be transfer will be THE one. Nara is a fabulous writer, she is another very open and honest blogger. I really enjoy her posts, they are not always about infertility. Nara is navigating the world of infertility in the UK so her points of view can be a bit different too. 1. Who or what inspires you the most? Actually, it is my husband – Chris who inspires me. He is not just my husband, but my best friend. Chris is always trying new things, sometimes even in the face of adversity (even though on occasion I wish he would finish the last thing he started!!) His desire to do things differently makes me want to follow him and push myself to new levels I wouldn’t be at today without that. Ummmm, OK so it is work related…but it is a personal achievement too because I faced some quite stressful times I had to overcome. 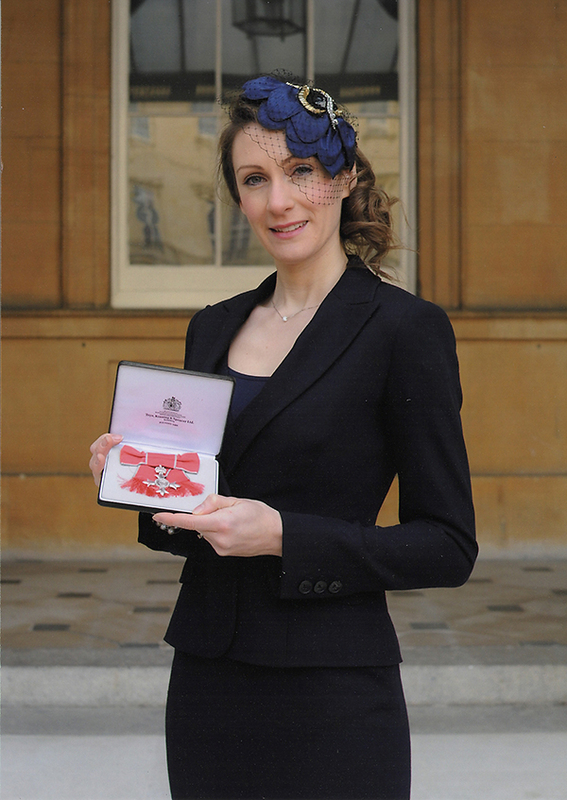 I was awarded the ‘Member of the Order of the British Empire’, also known as an MBE, for my services in support of military operations (my deployments to Afghanistan). I am very privileged to have even been nominated for this honour, let alone receive it!!! 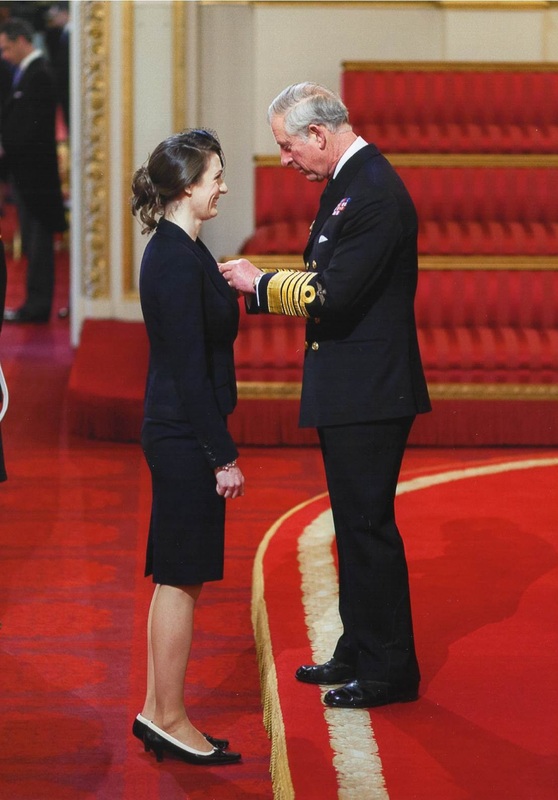 My medal was ‘pinned’ by Prince Charles at Buckingham Palace…as you can see from the photo with him I was grinning ear to ear like a Cheshire cat!! My parents and Chris were allowed to watch and I met some amazing people the day I was honoured. I was probably the youngest person there at the ceremony, although it is not uncommon for young people to be awarded, I felt so lucky!!! 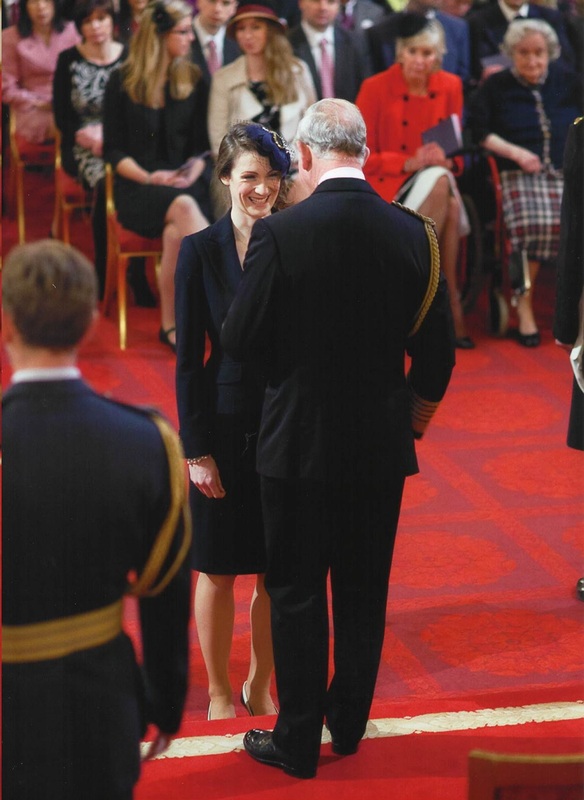 Not really sure what I was giggling about with the Prince at this point!! The Official ‘pose’ with my medal! It’s quite a beautiful beast that will probably only come out of its box for parades. 4. What did you want to be (as a grown up) when you were little? Being outdoors! hiking, rock climbing (I miss climbing a lot since we have been TTC-ing) I really enjoy baking when I make time for it. Some day when I am older I will own my own tea shop that will sell giant home made cakes and people will come just for the cake. I love learning new things, so I tend to have something going on where I am teaching myself something new. 6. Who would you want to play you in a movie of your life? Claire Danes – she is so lovely and talented. I have a habit of keeping souvenirs, tickets, cards and brochures of places we visit which will eventually end up in my ‘memory box’….OK so I have lots of memory boxes taking up space right now. I just can’t bear to get rid of them. I like going through them may be once a year when we do a clean out. 8. What is your favorite family recipe? I’m sorry, I don’t have one!!! 9. If you had a warning label, what would it say? Danger – May Hiccup Unexpectedly! Since I returned from Iraq in 2007 I have had these random little hiccups that appear from no-where. Sometimes people think I am sneezing and will ‘bless me’. I can almost control the hiccup if I am in a meeting, but it takes a lot of effort, so if I know a group of people I will just hiccup very loudly….may be only once or twice. Even Chris still laughs at my outbursts of hiccups. I don’t know why it happens, it could be a sign of Post Traumatic Stress Disorder, but that could just be co-incidence. The other option was brain tumour, but seeing as I am still alive today, it is probably not a brain tumour! 11. What is the one thing you will never do again? If a genie came along and offered you one wish to become what you ever you like to be and you were given all the relevant knowledge, training and qualifications tomorrow, what career would you choose? If I gave you a plane ticket to anywhere – where would you go? What helps you get out of a funk? If you could write a letter now to your past teenage self – what piece of advice would you give to yourself? If you could only eat one type of ood for the rest of your life, what would it be?